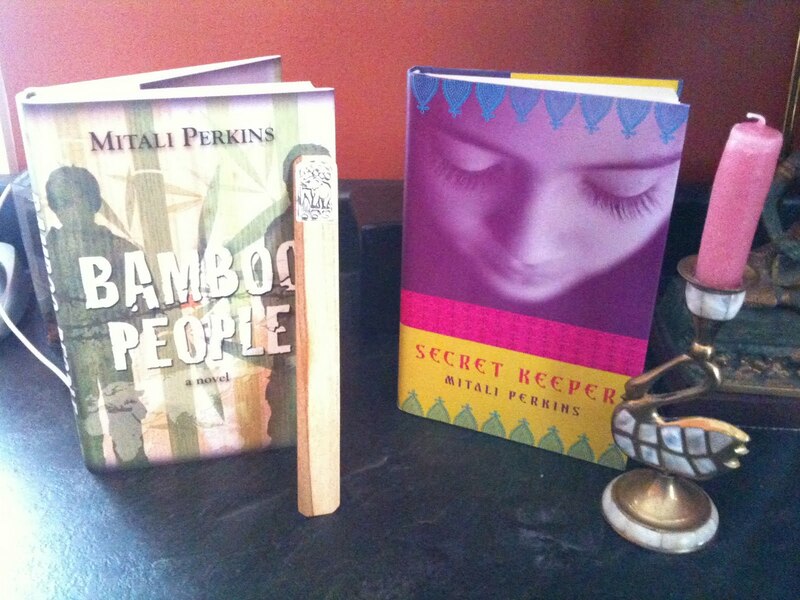 Today's Writers for the Red Cross Auction swag bag is from me. 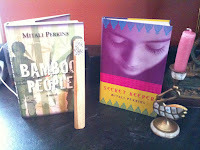 It includes a signed hardcover of Bamboo People, a bamboo bookmark with pewter elephant from Thailand, a signed hardcover of Secret Keeper, and an alabaster candle holder from India. Browse the other items up for bidding—there are some generous donations. Meanwhile, let's keep praying for Japan. 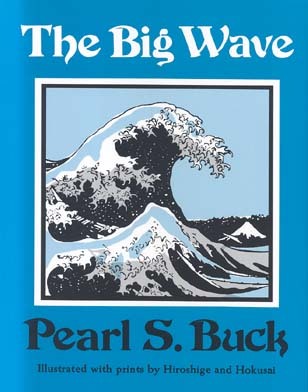 In 1948, Nobel prize-winning author Pearl S. Buck published a children's book about a tsunami in Japan called The Big Wave. 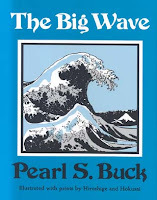 In 2005, NPR's Jacki Lyden read an excerpt from that "famous story of a Japanese boy who must face life after escaping the tidal wave destruction of his family and village." Has anybody read it since the recent tragedy? What are your thoughts?